The fledgling team of the Amazing X-Men have already faced off against demon arms from Hell and ravenous hordes ofWendigos and there is no rest in sight for our band of heroic mutants as one of the X-Men’s most notorious villains charges back into their world. This January marks the return of The Unstoppable Juggernaut within Amazing X-Men #15 by series writer, Chris Yost and interior artist Jorge Fornes. The story, called “The Once and Future Juggernaut” finds former wielders of the Gem of Cyttorak, Cain Marko and X-Man Peter “Colossus” Rasputin, getting the call to become the inter-dimensional power’s external force once again, but they’re not the only ones invited to the party. “Cyttorak wants an avatar,” Yost continues. “It’s a status thing among the other mystical entities/gods. All the cool other-dimensional powers have one. 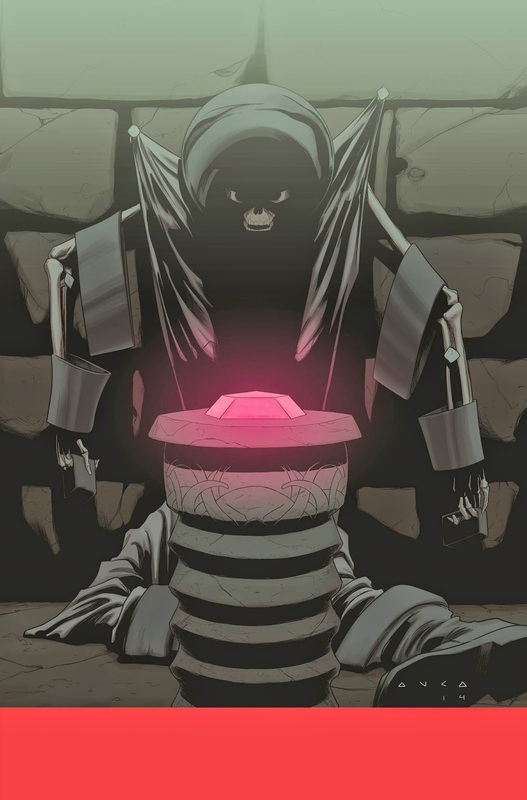 The return of the gem is part of the mystery, but the X-Men know that whatever Cyttorak wants, it’s probably not good." Next year, Amazing X-Men #15 charges into comic book retailers and ushers in a new era for the X-Men as we bear witness to the rebirth of one of the most well-known X-Men villains of all time – The Unstoppable Juggernaut!